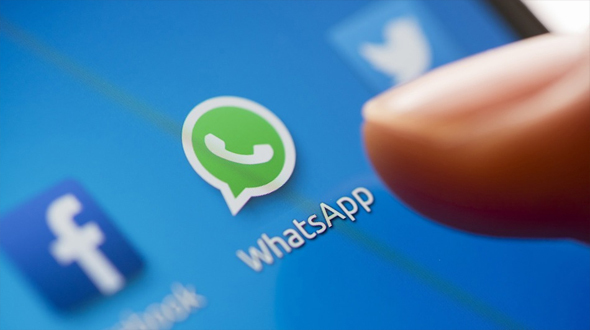 WhatsApp is coming up with all the possible updates that will make the platform ready for the commercial use. 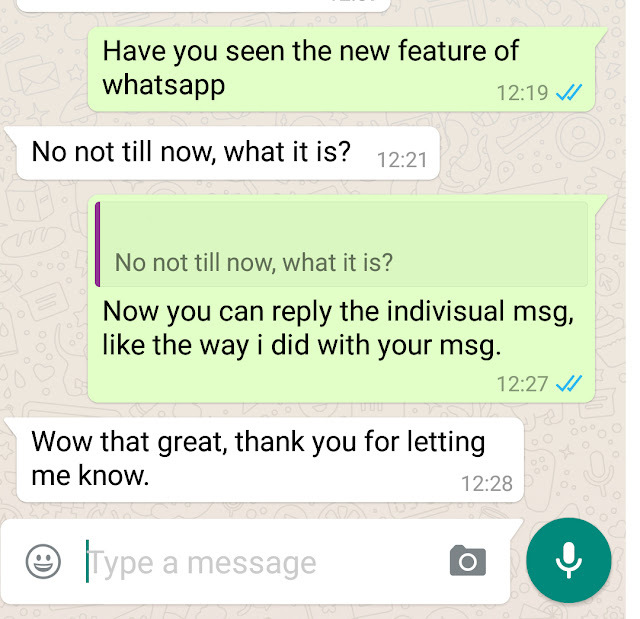 After introducing file transfer and option to make the post bold, italic and more, now the Facebook owned company has rolled out the new feature of “Message Quote” where you can reply the individual massage and the feature is available on the group chat (which is very handy, when you want to reply to some individual in group) or on the individual chat as its look similar to a mail response. The message quotes and replies feature is self-explanatory and the user needs to long press a message in any conversation to see a reply option pop up alongside star, delete, forward, and copy. On tapping the reply button, the original message will appear as a quote, and users can reply to that. On the receiver's end, the quoted message will appear as a grey box with the reply below it. 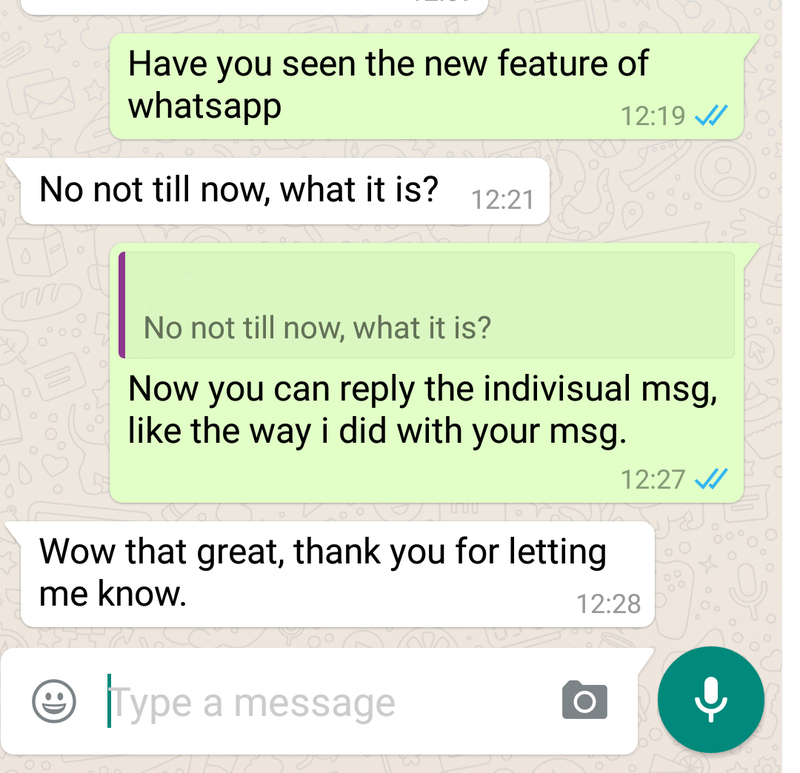 The feature works on one-to-one chats as well as group chats. The Facebook owned company is already rolling out the new feature at the steady pace, the last major update to the platform was last month - the addition of document sharing on WhatsApp Web. Shortly before that, the company rolled out its first desktop app for Windows and OS X. Platform is also being found testing the Video calling feature many times on the Application and soon we can see that in reality.